A fresh take on the classic in cool, 100% linen. 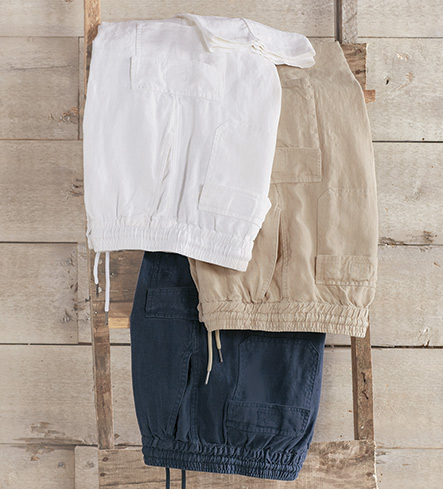 Easy fit, elastic drawstring waist, side pockets, cargo pockets on back and legs. Button fly. Machine wash or dry clean. Imported.